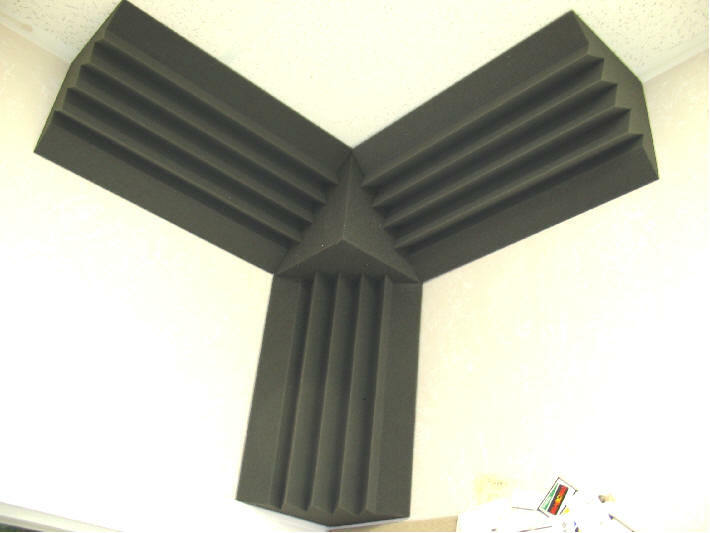 This acoustical sound absorber foam is designed to be mounted in ceiling corners. 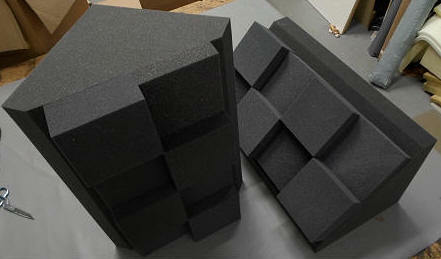 With the help of one foam cube and three acoustic bass absorbers you can make your cathedral corners look outstanding. 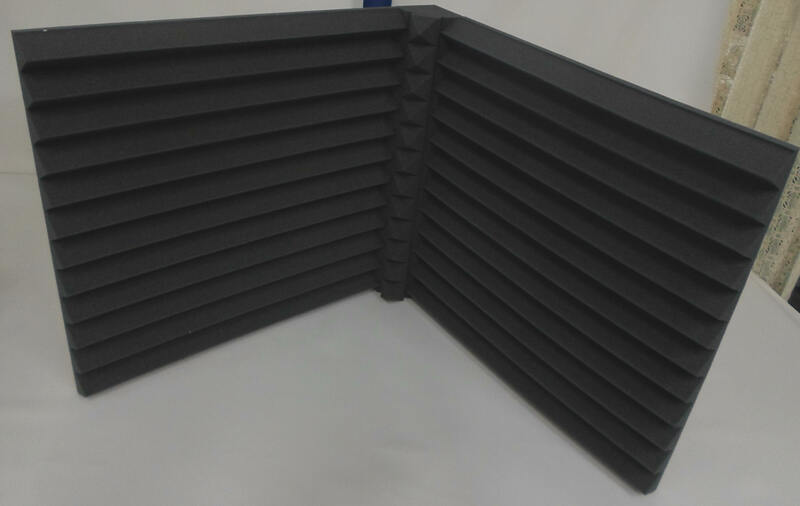 It is especially useful for absorbing sound waves that are more intense at the intersection of walls; like in large area rooms. 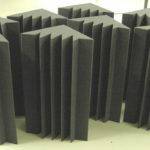 The rolling pattern provides increased area for greater sound absorption and will smooth out low frequencies. This is another acoustical foam absorber designed to be mounted in ceiling corners. 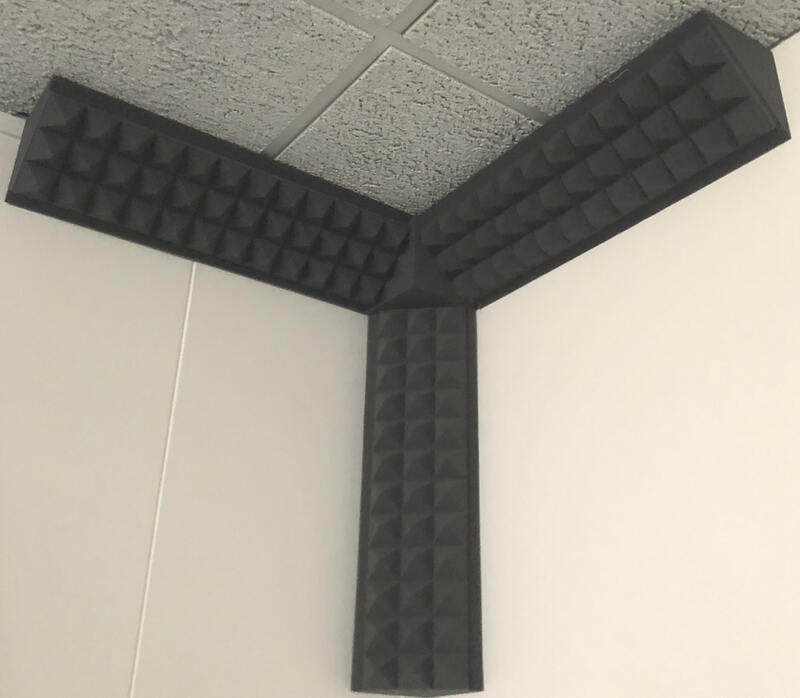 With the help of one foam cube, three acoustic bass absorbers, and 12 acoustic foam tiles, you can make your cathedral corners look outstanding and one of a kind. 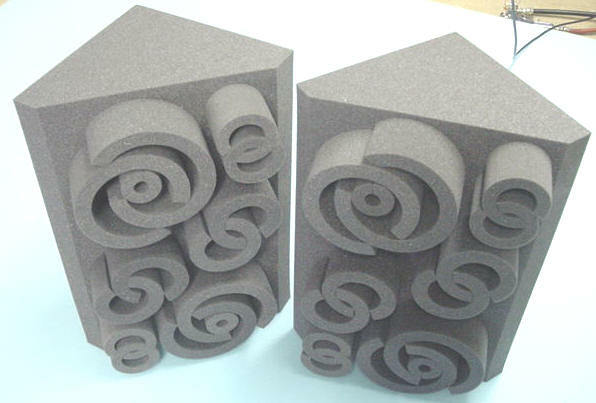 Our Acoustic Kits will help to minimize standing waves and fluttering echoes. 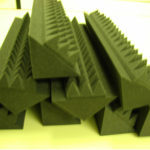 They also provide a flawless look and are a popular choice for sound control in industrial environments. 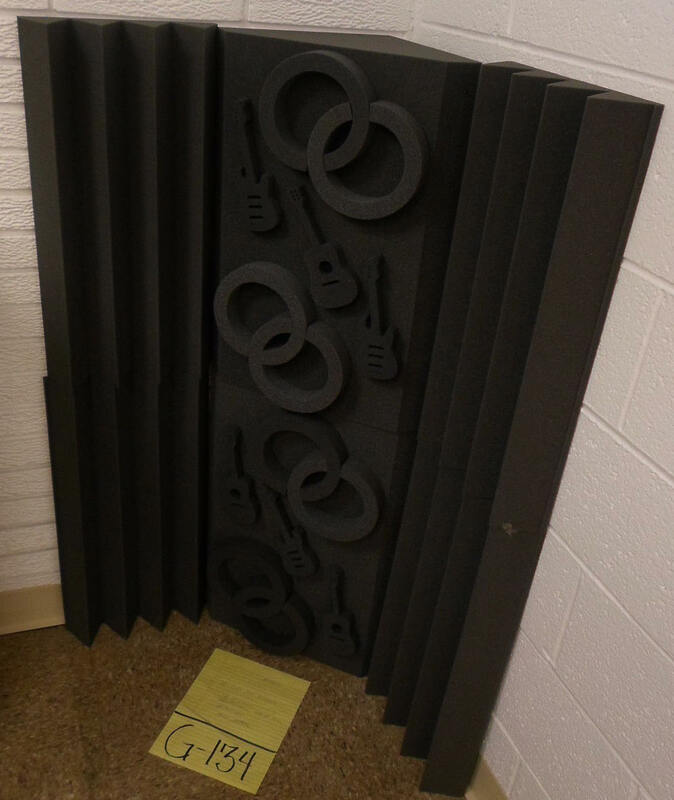 Our Acoustic Kits will help minimize standing waves and fluttering echoes. 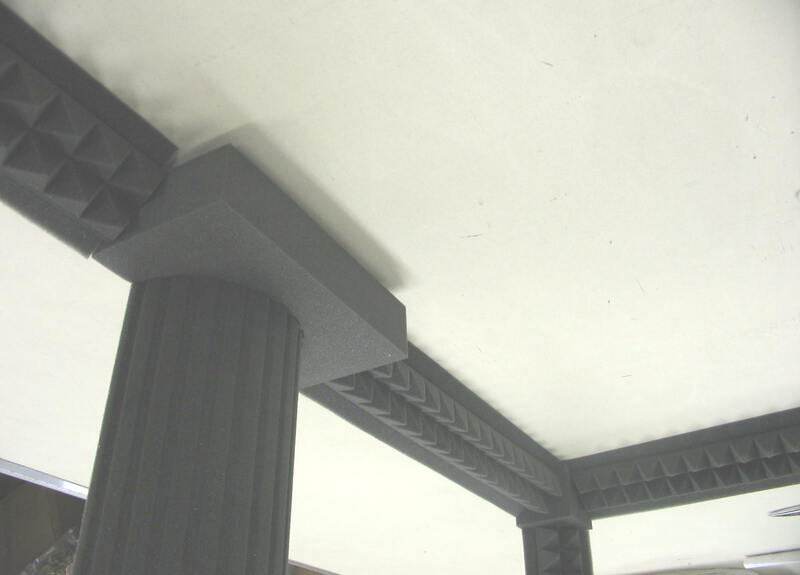 They also provide a flawless look and are a popular choice for sound control in industrial environments. This corner cube block is recommended in all rooms for a flawless look. 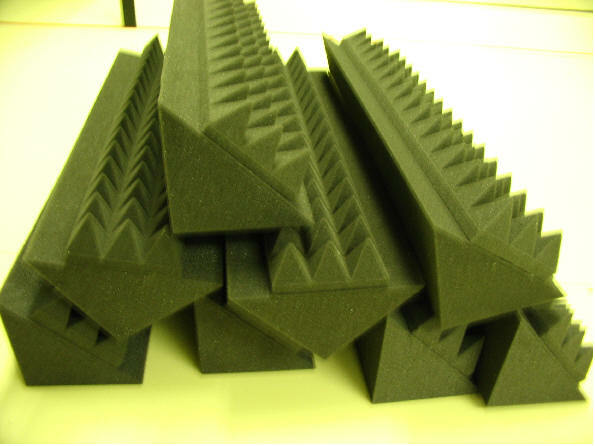 It absorbs low frequency sounds and prevents unwanted sound reflections to improve overall listening conditions. This corner block is recommended in all rooms for a flawless look. 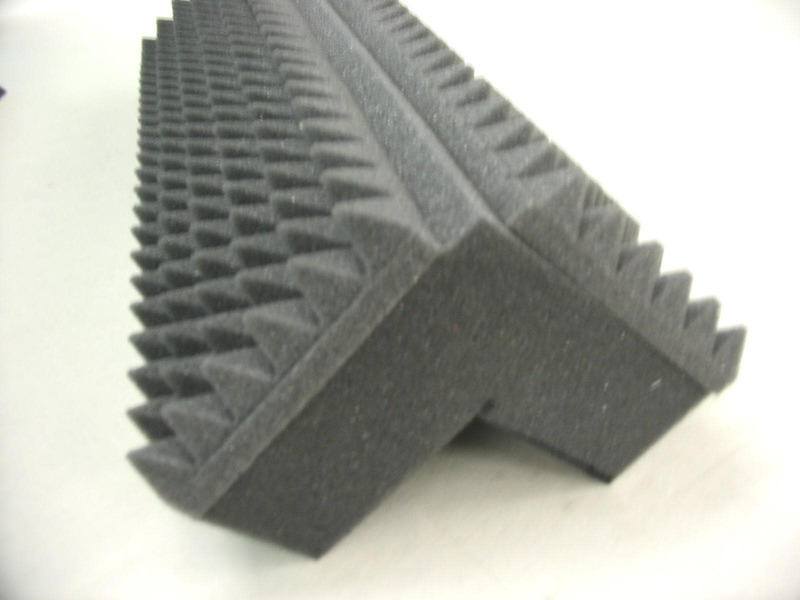 It absorbs low frequency sounds and prevents unwanted sound reflections to improve overall listening conditions. 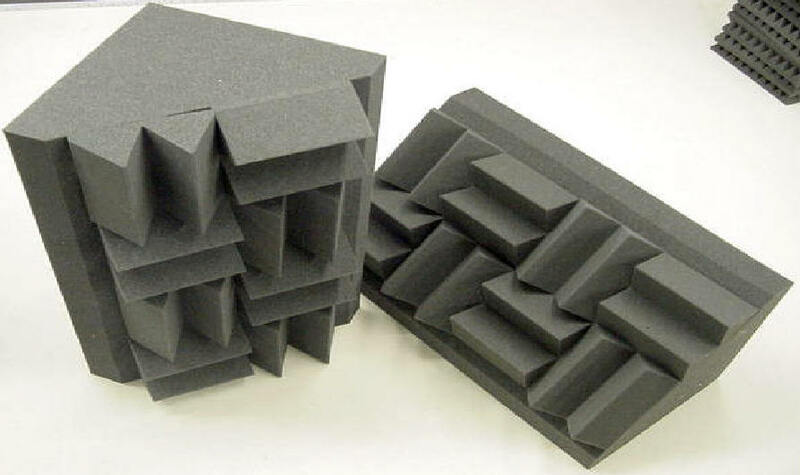 The corner piece’s front pyramid pattern provides increased area for greater sound absorption and smoothes out low frequencies. 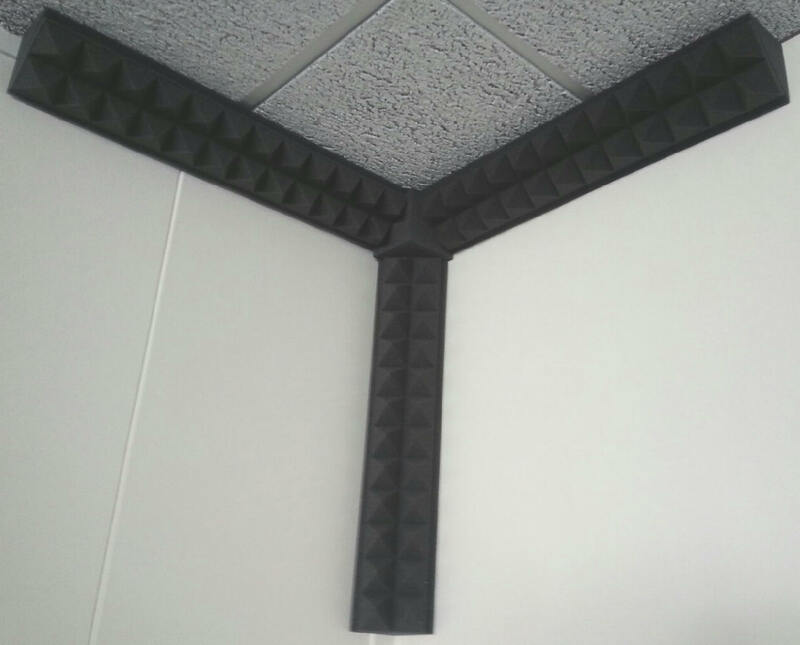 It also supplies your room or studio with another one of a kind look. 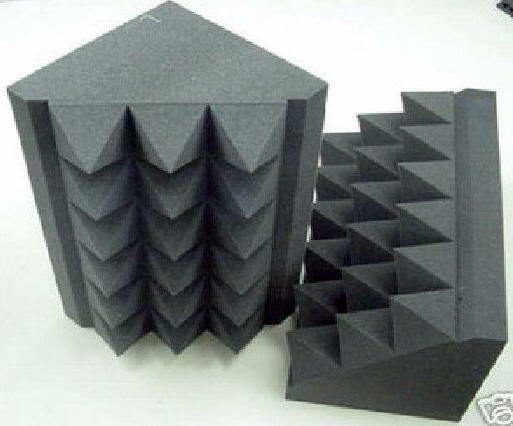 Our corner piece with the pyramid pattern provides increased area for greater sound absorption and smooths out low frequencies. Recommended for any outside corner. If you have a contemporary room and want a unique style, then this is the right type of bass absorber for you! 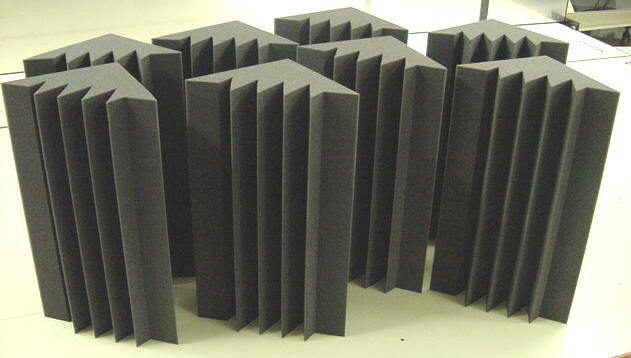 The bass absorber will absorb all low frequency sounds, which prevents unwanted sound reflections and improves listening conditions. 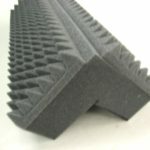 The unique pattern on the front provides increased area for greater sound absorption and smooths out the low sound frequencies. Flammability: MVSS 302 Flame Tests, Flame-Retardant.